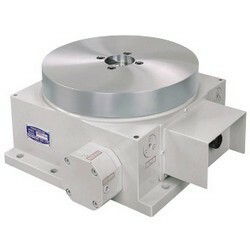 2.Other models are available, contact us for more details. 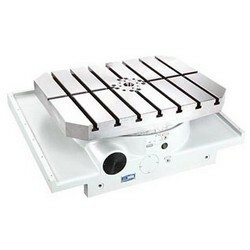 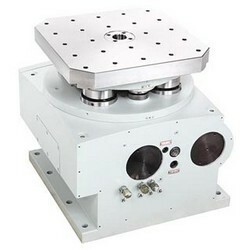 1.High precision and high rigidity. 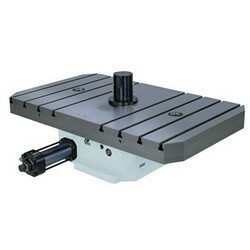 2.Clamper of worktable with position cone or roller plate type. 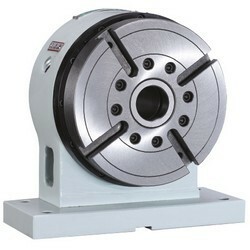 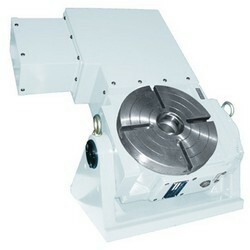 1.High precision 3-piece gear clutch provides high positioning accuracy and accuracy on table top. 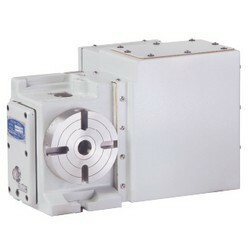 2.Servo motor drive combined with gear clutch positioning makes the unit suitable for flexible angular machining. 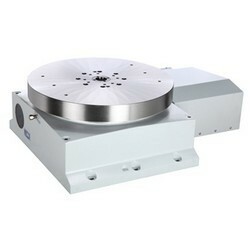 3.Indexing accuracy +5 / -5 seconds. 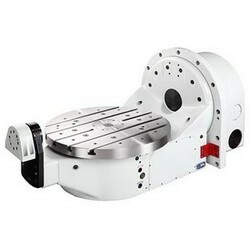 3.Hydraulic clamping system assures powerful clamping. 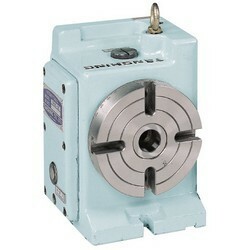 3.Exclusive dual lead worm drive. 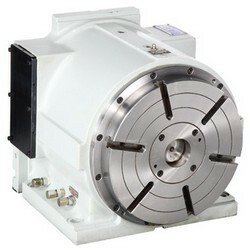 1.Direct-drive motor offers high speed running-up to 7 times faster than other ordinary models. 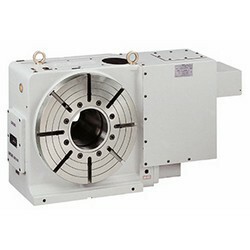 HTTS-Series Hydraulic Tailstock, PTTS-Series Pneumatic Tailstock, (Changeable thumble & short cylinders are available). 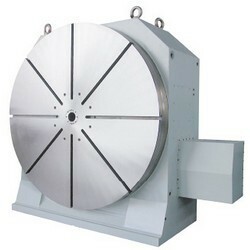 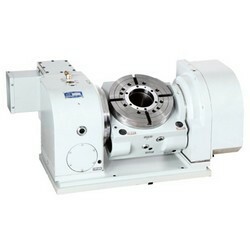 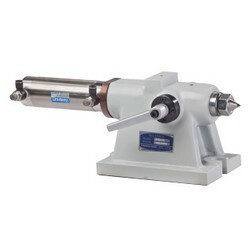 TS-Series Manual Tailstock (Unchangeable thimble). 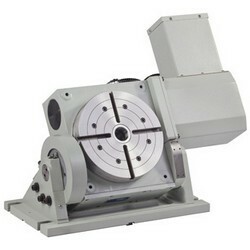 4.Suitable for 4-1/2 axis machining, such as cutting tool machining. 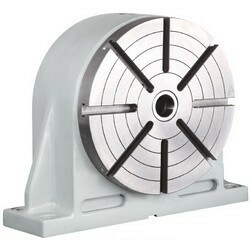 4.Exclusive dual lead worm drive. 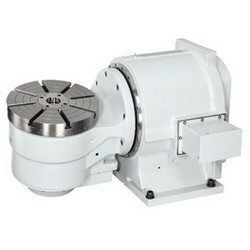 Absolute value motor are recommended for tilting axis. 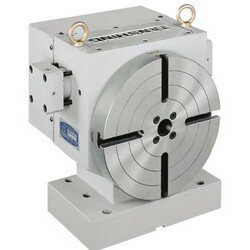 1.Servo motor position is not changed with shaft tilting to prevent vibration while cutting. 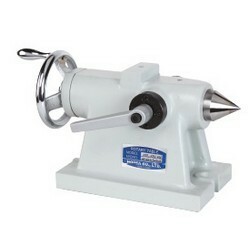 2.Absolute value motor are recommended for tilting axis.